Click Image to see larger graphic! 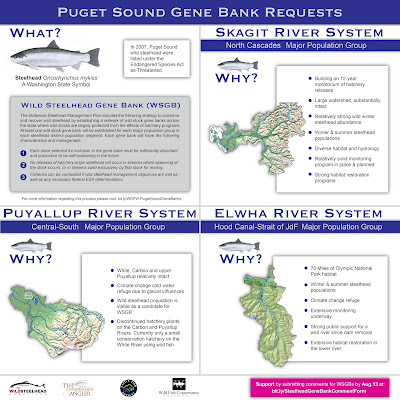 UPDATE: WDFW has extended the public comment period to run through August 31st, please make your voice and opinion heard. 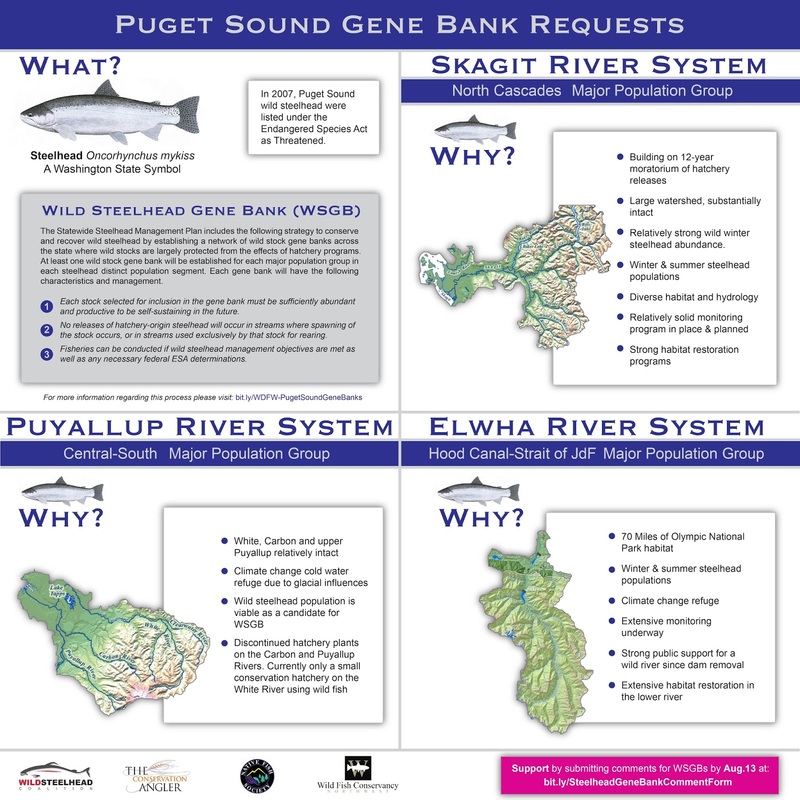 If you're not already, please consider supporting Native Fish Society, Wild Steelhead Coalition, Wild Fish Conservancy, and The Conservation Angler.